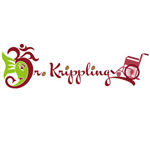 Dr Krippling - Krippleberry. Free US delivery. Krippling's mix of blueberries, with a touch of ruderalis, produces an auto flowering crop which closely matches the tastes and qualities of the original world famous strain. Tight compact buds, jam packed with a smooth fruity taste and intense aromas.